The species is widely scattered in Britain and only widespread in south-eastern England north of the Thames. It is widespread in western and central Europe. This spider spins its orb webs on shrubs and trees, sometimes producing the silken retreat under loose bark. 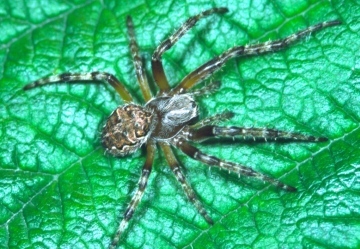 Although it may be found with the other Larinioides species, it is not so closely associated with waterside habitats and is often found in much drier sites. Both sexes are adult in the summer until September. Uncommon but sometimes locally frequent. Scrub and hedgerow management should be undertaken on a rotational basis with areas left undisturbed.